Tahlia St is one of the known location where you could see different known store in the world. Signature T-shirts and clothing could be bought in this place. 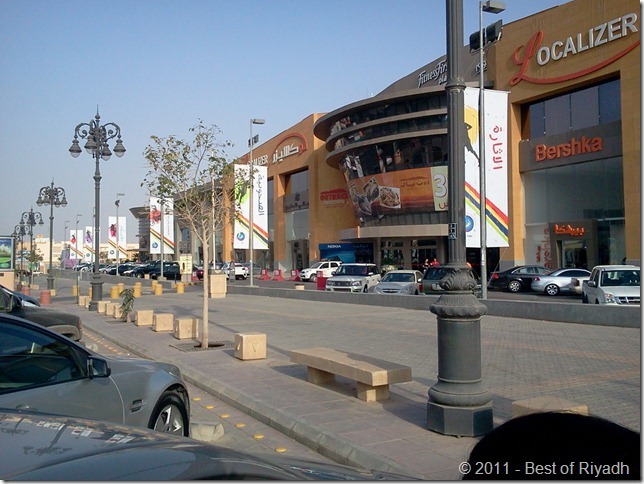 One of the mall, shopping center, that you could see in Tahlia is, Localizer Mall have different stores inside it. Parking space is also good and spacious. Although it seems that this mall is for those who could afford to buy signature clothes. There are also other stores inside where it could give affordable prices. Nokia, Bershka and Giordano has also itâ€™s place inside. You may also try having your lunch in Outback. I have not tried buying in this place. But soon we will try it. I saw this in looking for information about outback, which happen to be inside the Mall.